Last week with the remains of my birthday money I went a bought myself two more hens. We had lost one of our other girls in July and she was sadly missed, I was also having to buy egg as the other girls pretty much stopped laying. 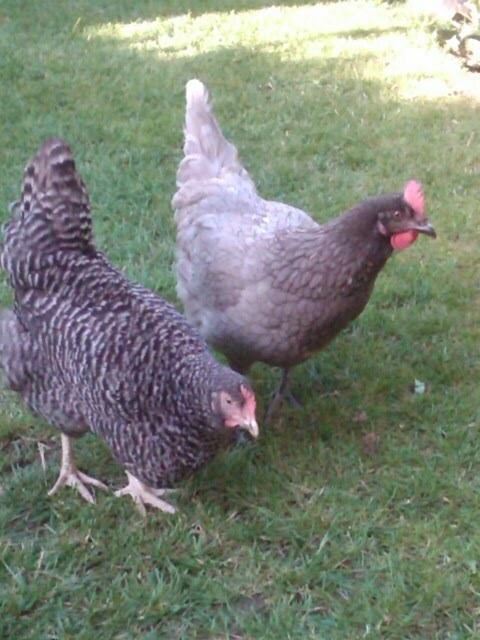 We decided after much thought to stick with hybrids, and we bought a Speckledy Hen and a Bluebelle. The Speckledy is called Poppy. The Bluebelle has been named Dr Mumbo by the ever crazy hubby. This is a photo of their first adventure in the garden.